There are many websites on web which allow us to send free fake SMS. Using such free anonymous SMS service, one can send fake SMS to his friends from any number. Recently, I tried out such service offered by SMS Global and found it working perfect. What was really interesting??? SMS Global allows you to send 25 messages for free, unlike other websites. So, I am writing on how to send free anonymous SMS in the article below. 1. Go to SMSGlobal site and register for an account. SMSGlobal allows you to send 25 SMS by default. If you want to send 100 more SMS, enter “WPRESS” (without quotes) in “Promo code” field. Thus, using this promo code, you can send a total of 125 SMS. Note: You don’t have to fill and “Affiliate code” field. Leave it blank. 2. You will get a text message informing you about the password. Use this password to login to your account. Send SMS To: Your friend’s number whom you want to send fake SMS. Sender ID From: The number from whom the SMS will appear to be sent. The number to be spoofed. Replace your number with any other number. Message: Type your message content. You can leave other fields untouched. Note: For Indian friends, make sure you add “91″ before sender and receiver numbers. This is a necessary for efficient working of this hack. 5. 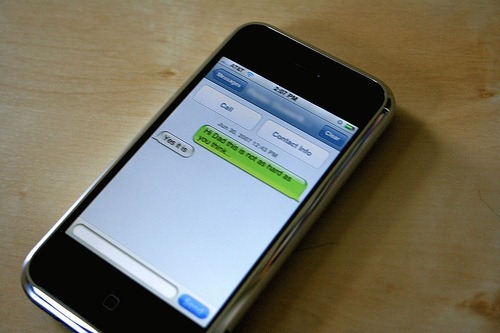 Now, hit on “Send SMS” button and your friend will receive the fake SMS which you have sent. Cheers!!! Note: Do not misuse this mobile hack as it can put you in problems. Use it for fun!!! Update: SMSGlobal supports almost all countries and their network providers. You can make sure that your country and network provider is supported using this link. 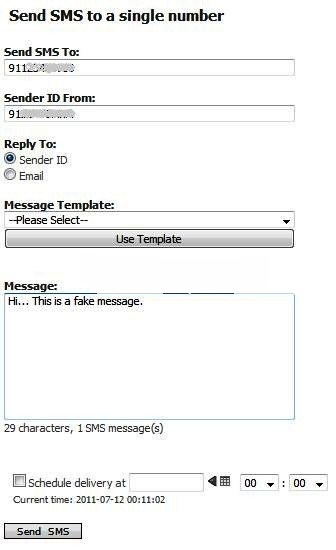 So friends, this was a short tutorial on how to send fake SMS to your friends. I have tried this hack with many of my friends and it has worked perfectly for me. If you have any problem in sending free anonymous fake SMS to your friends, please mention it in comments.